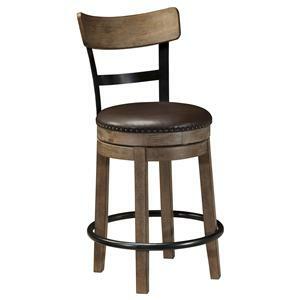 Add an elegant twist to your home with this swivel barstool. 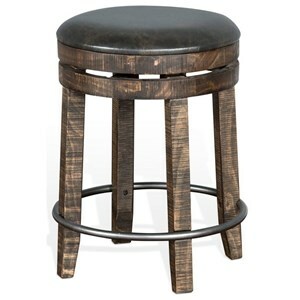 The delicate metal detailing on the barstool's full back adds an artistic flourish to this contemporary piece. 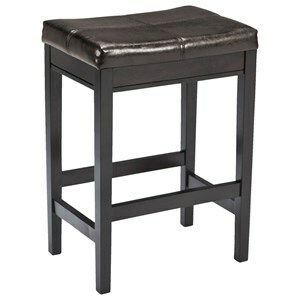 However, this counter height barstool sets you up with more than just elegant, contemporary style. 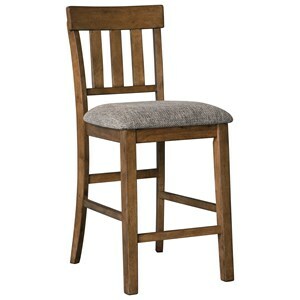 With its cushion seat and foot rail to rest your feet on, this chair ensures your comfort as well. 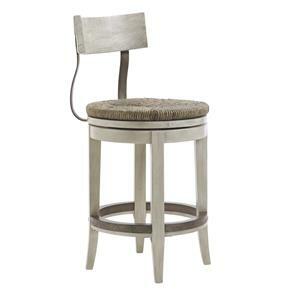 The Jaylen 24"H Metal Swivel Barstool with Cushion Seat by Sunny Designs at John V Schultz Furniture in the Erie, Meadville, Pittsburgh, Warren, Pennsylvania area. Product availability may vary. Contact us for the most current availability on this product. Contemporary style is given an artistic twist with this collection. 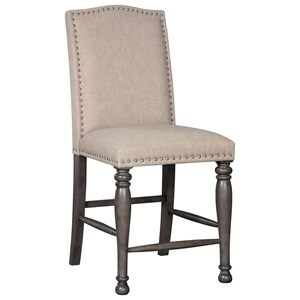 Elegant metal work in a granite finish helps create the unique style of these pieces. 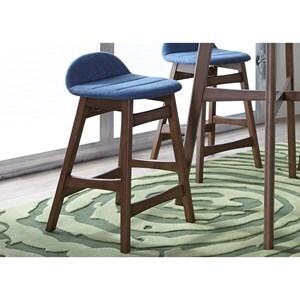 The Jaylen collection is a great option if you are looking for Contemporary furniture in the Erie, Meadville, Pittsburgh, Warren, Pennsylvania area. 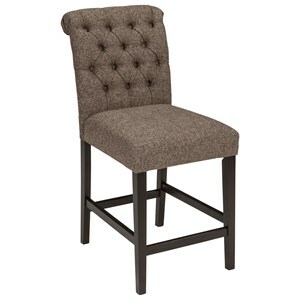 Browse other items in the Jaylen collection from John V Schultz Furniture in the Erie, Meadville, Pittsburgh, Warren, Pennsylvania area.